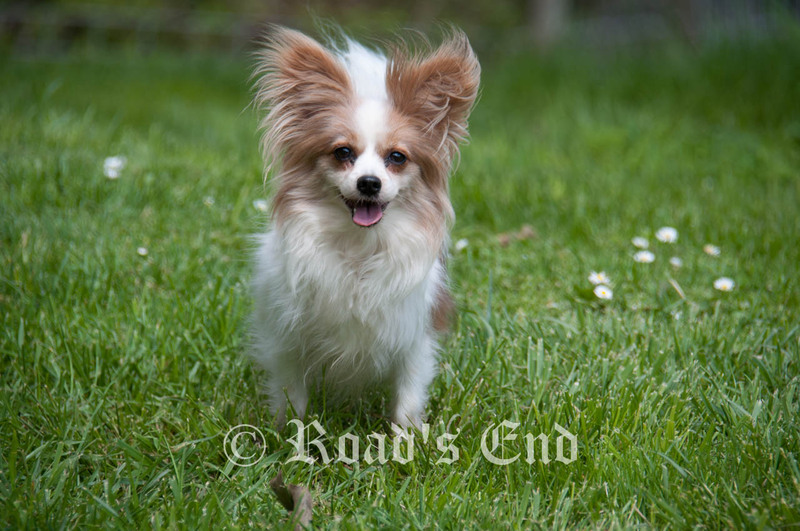 This is "Pesto" the brother of my little girl "Picante". 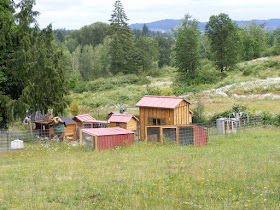 Pesto lives on Oregon. 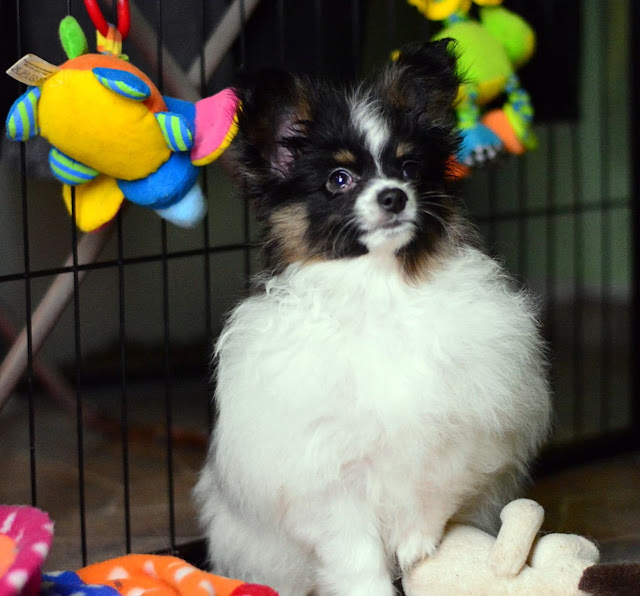 Our Stormy is expecting her first litter, right on the end of upcoming December. 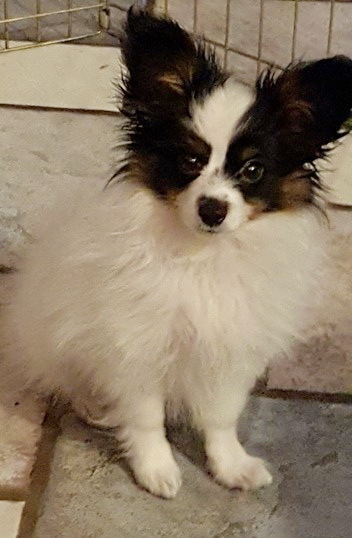 Our sweet Lilly is patiently passing her last 3 weeks of her pregnancy. We are expecting her litter of puppies to arrive around the middle of this coming December. Lilly does not like to be photographed; she usually hides, when I show up with the camera. 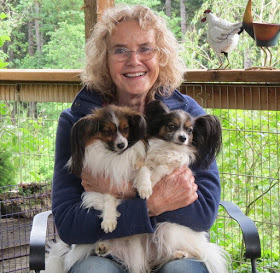 A new photo of girl Orange Poppy, which lives now in Central Oregon. 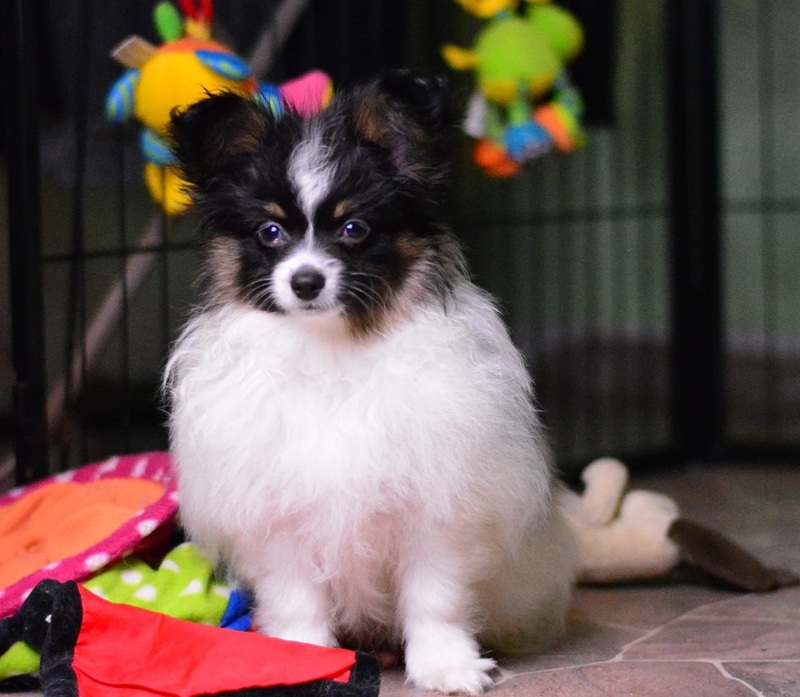 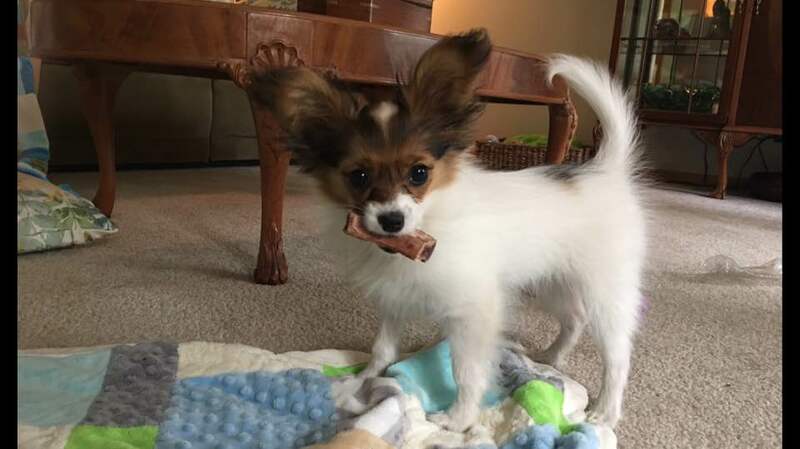 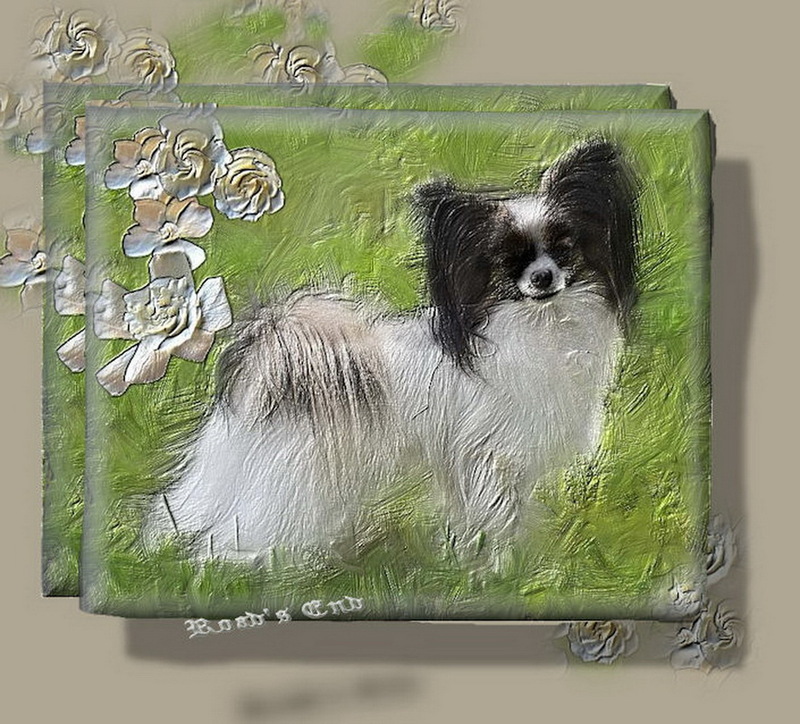 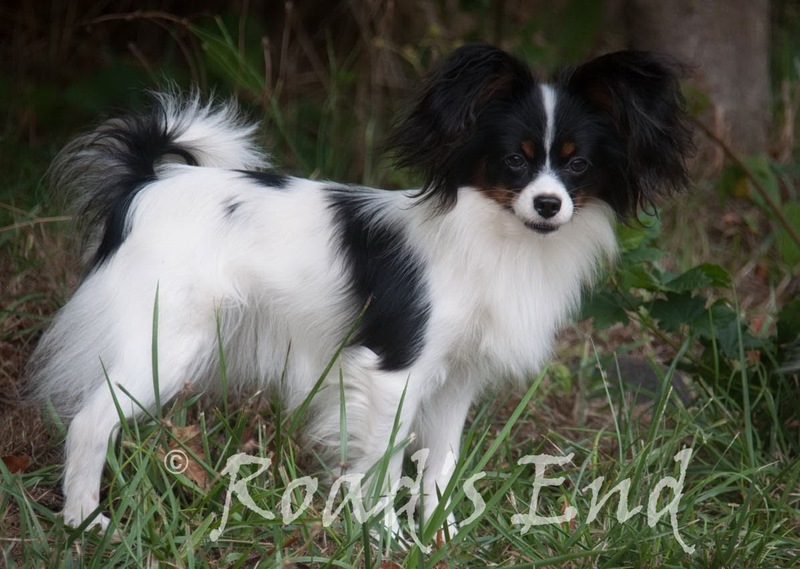 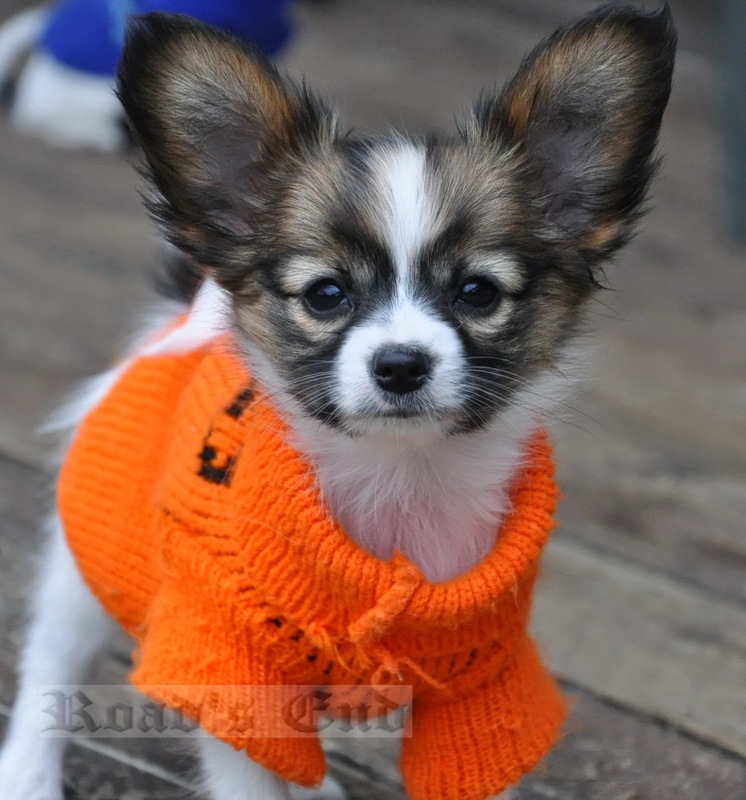 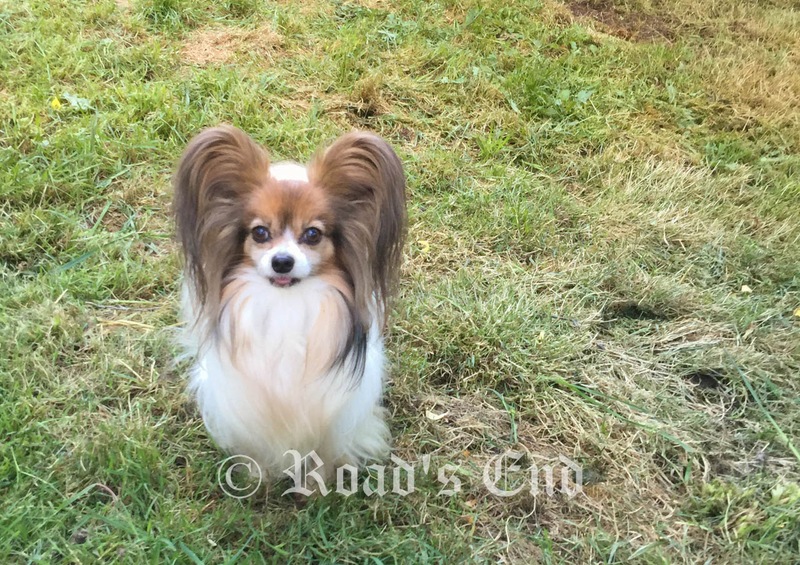 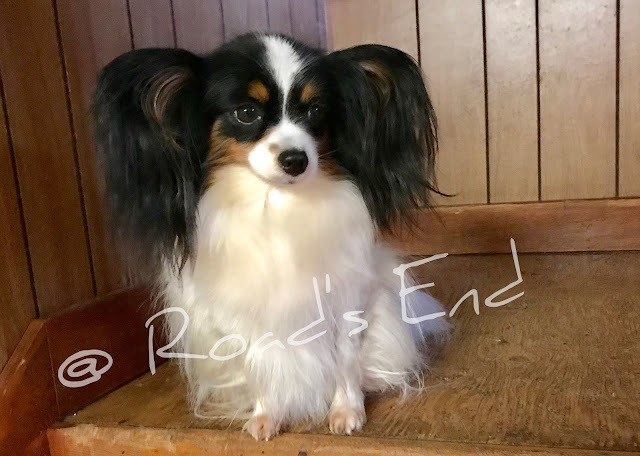 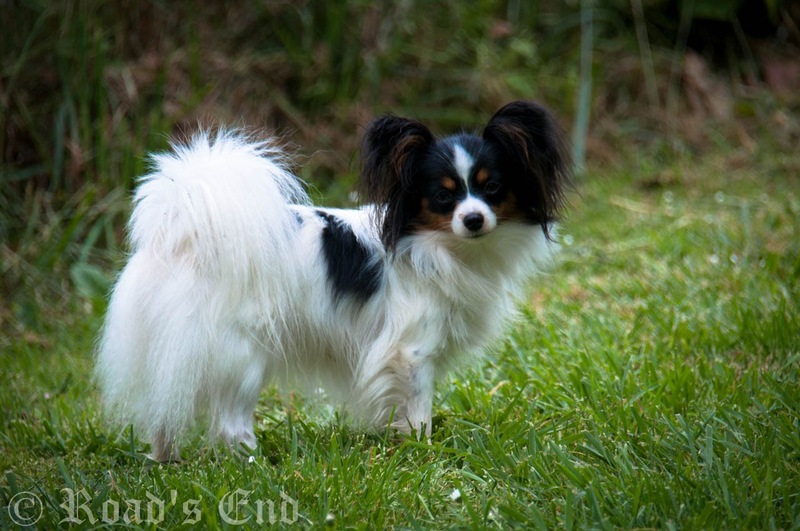 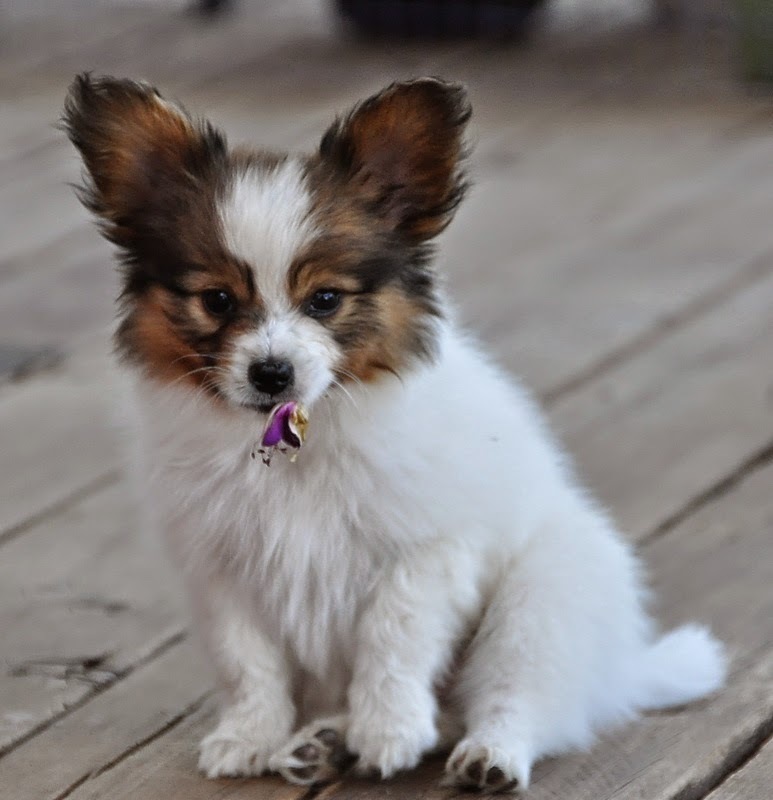 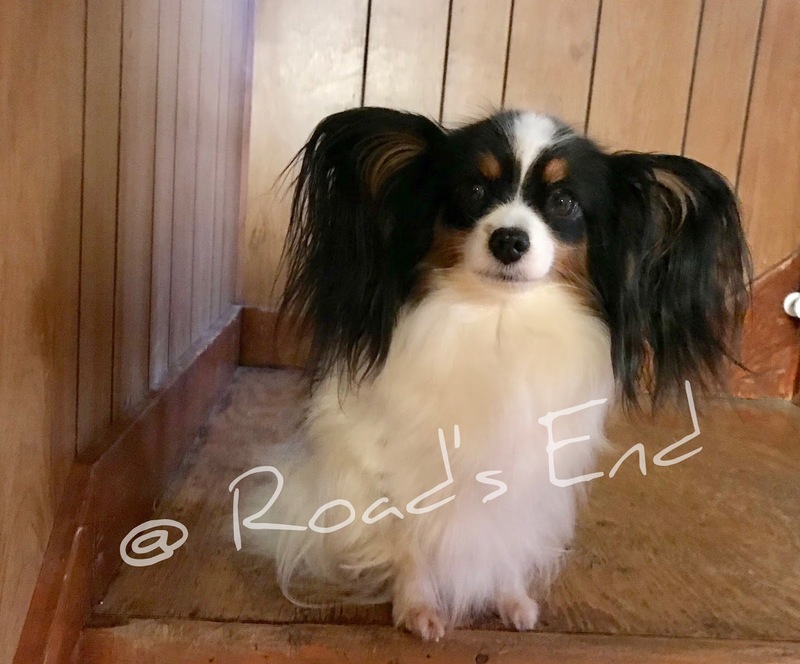 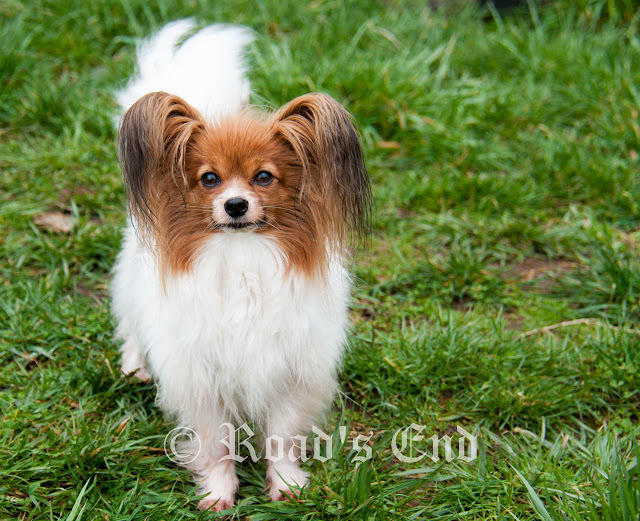 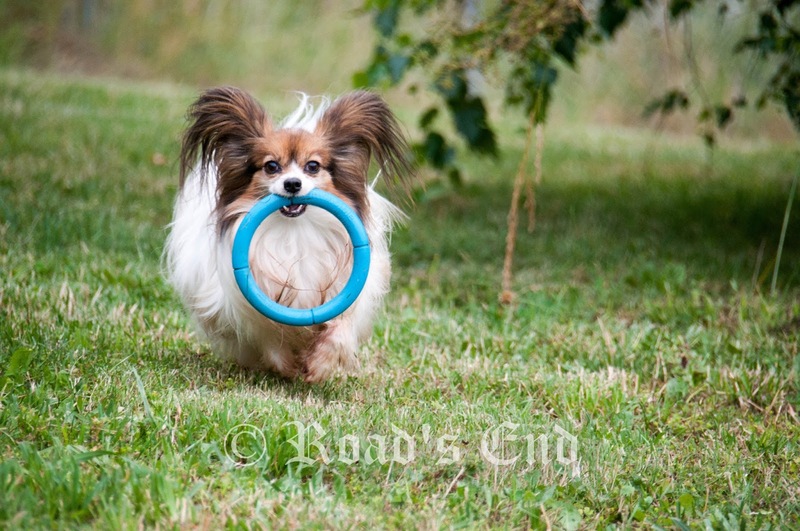 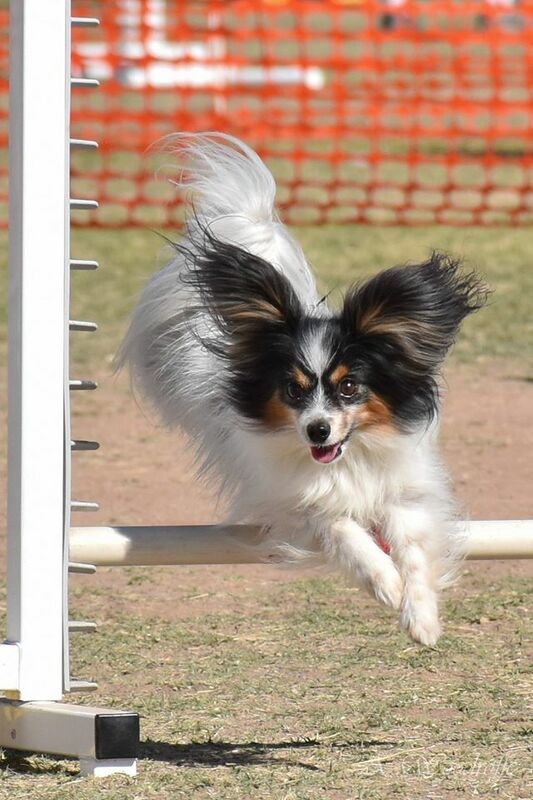 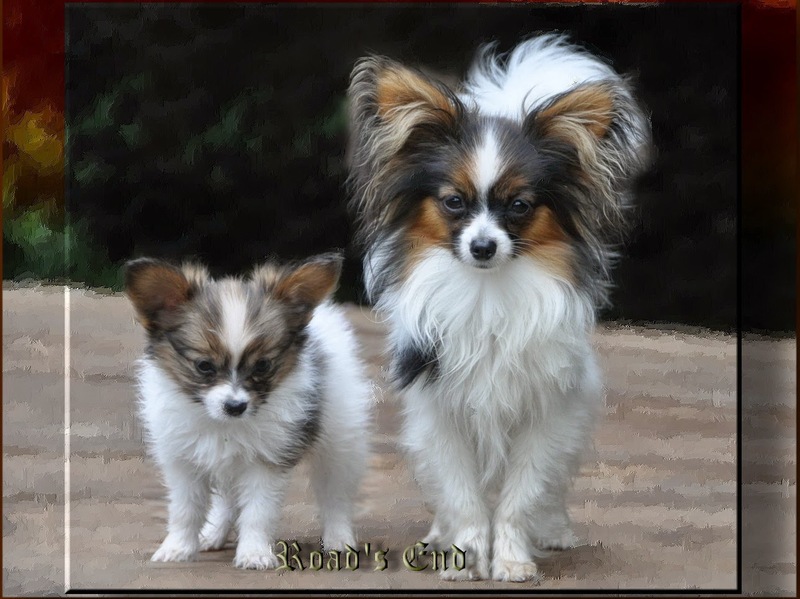 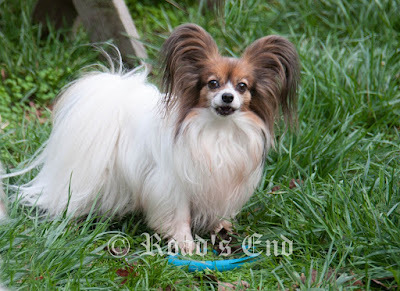 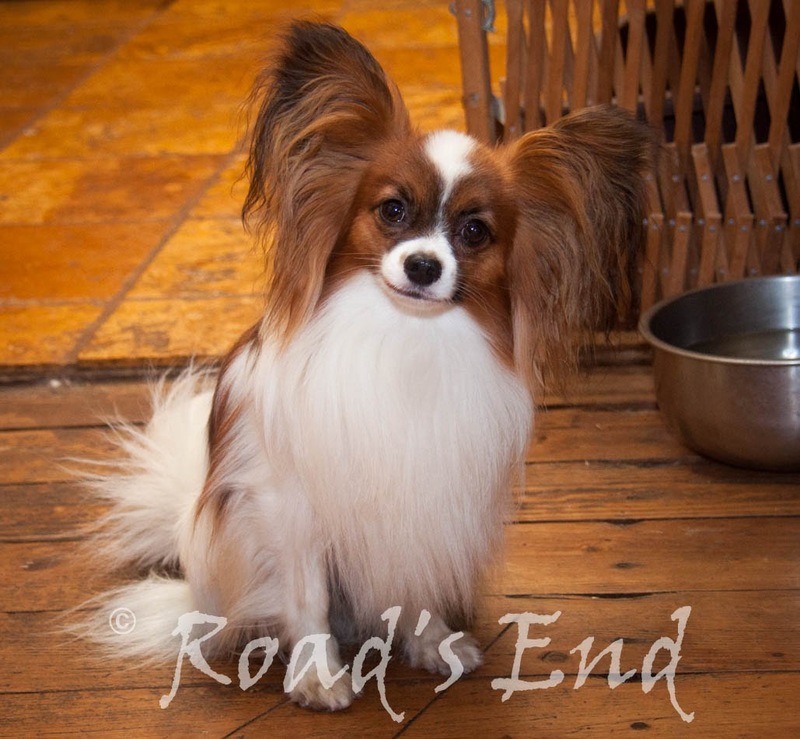 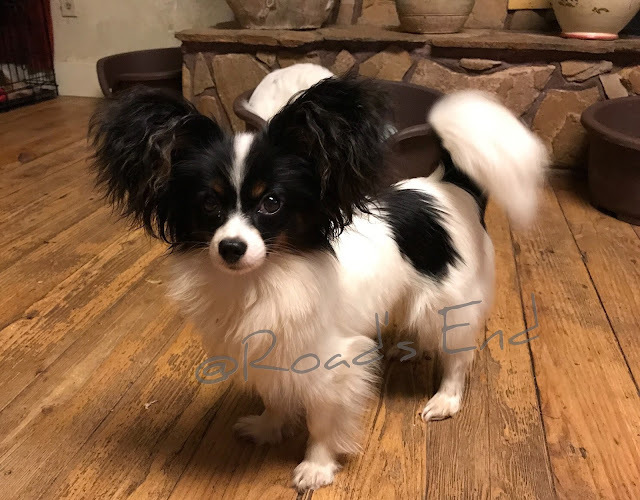 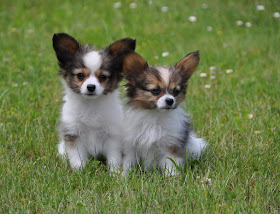 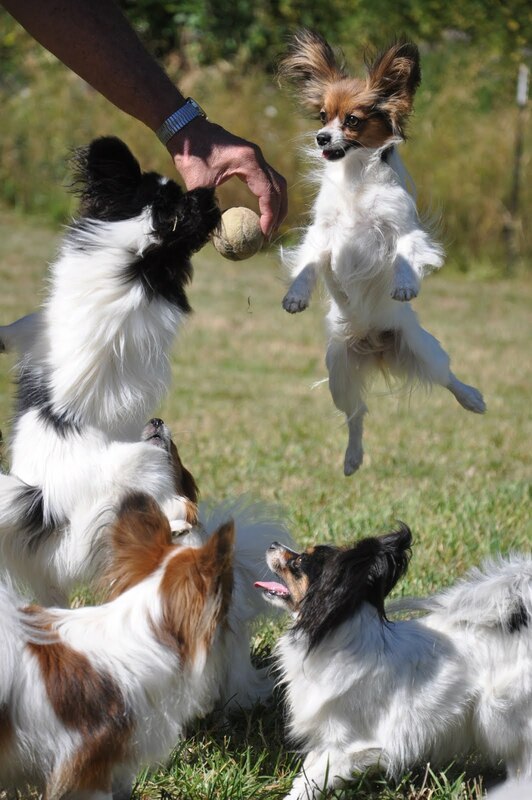 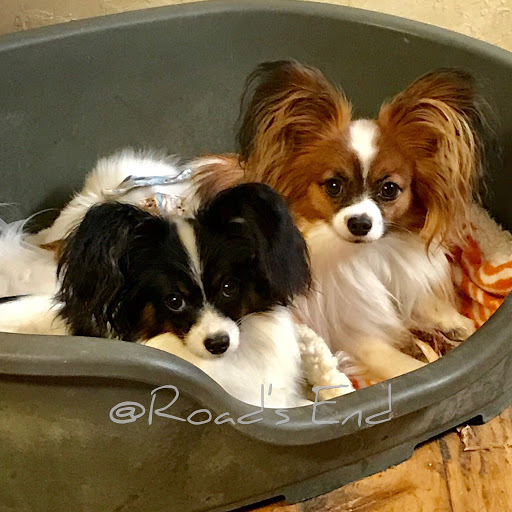 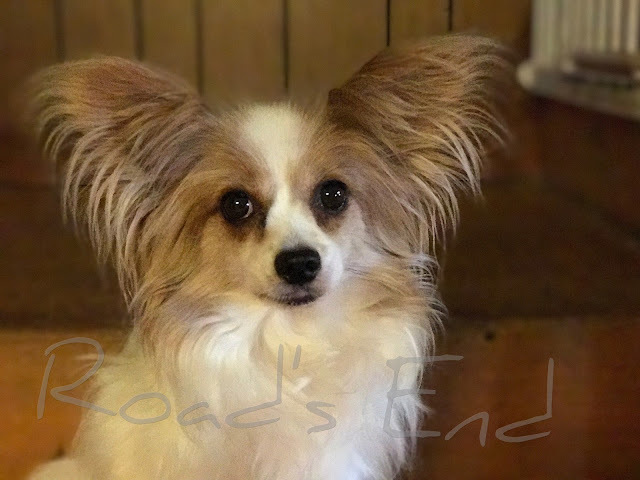 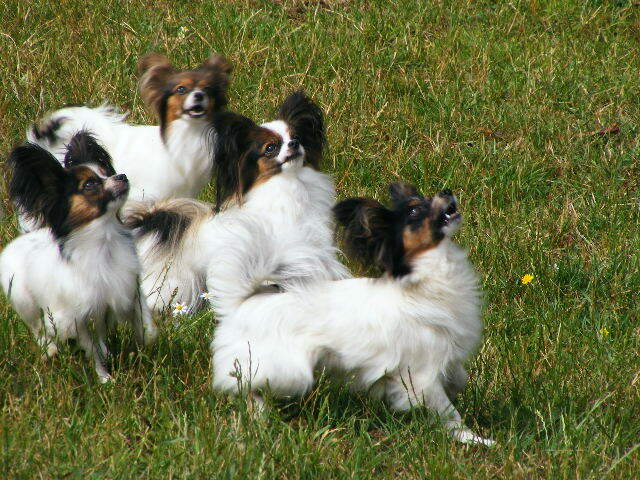 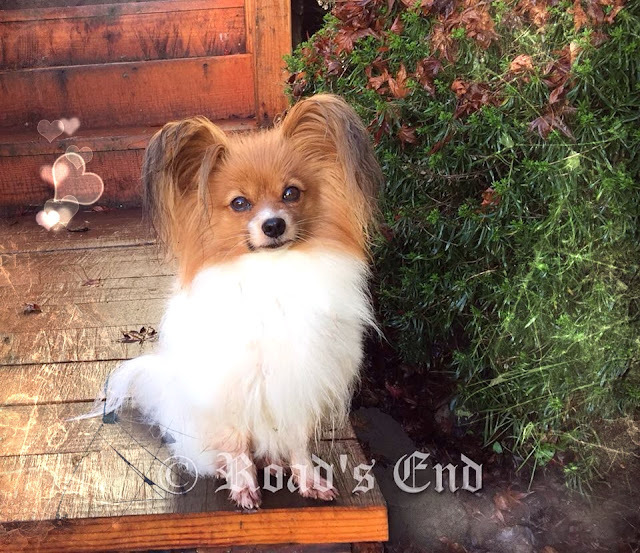 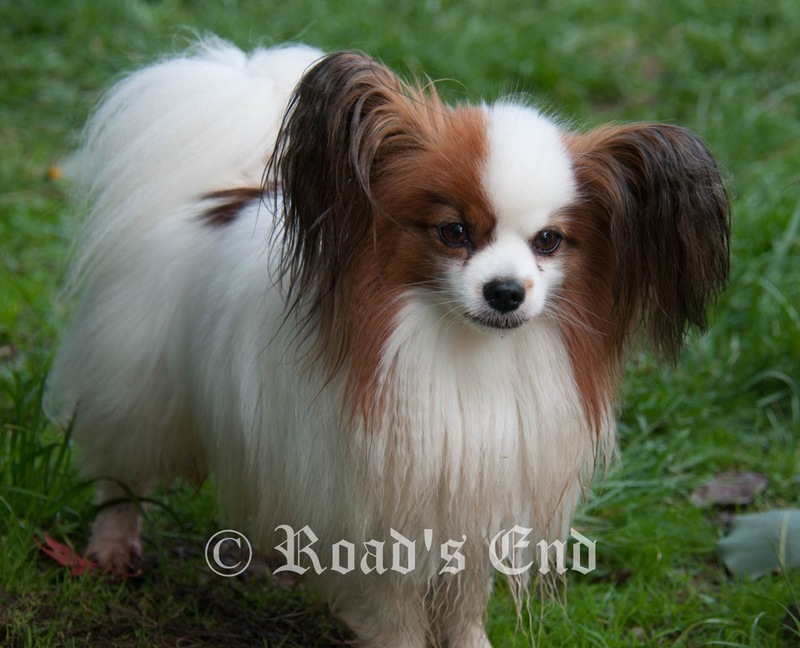 It is our sweet girl Min, which resides now in Texas with her new mom, and a new Papillon buddy. 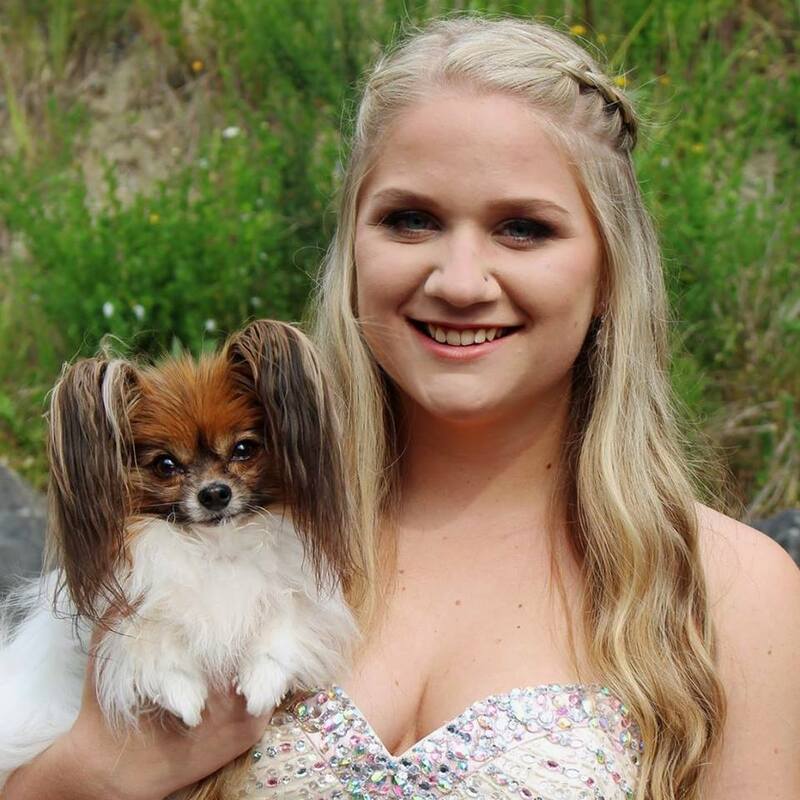 Our girl Snickers is available, looking for a "match made in Heaven", just like Min did. 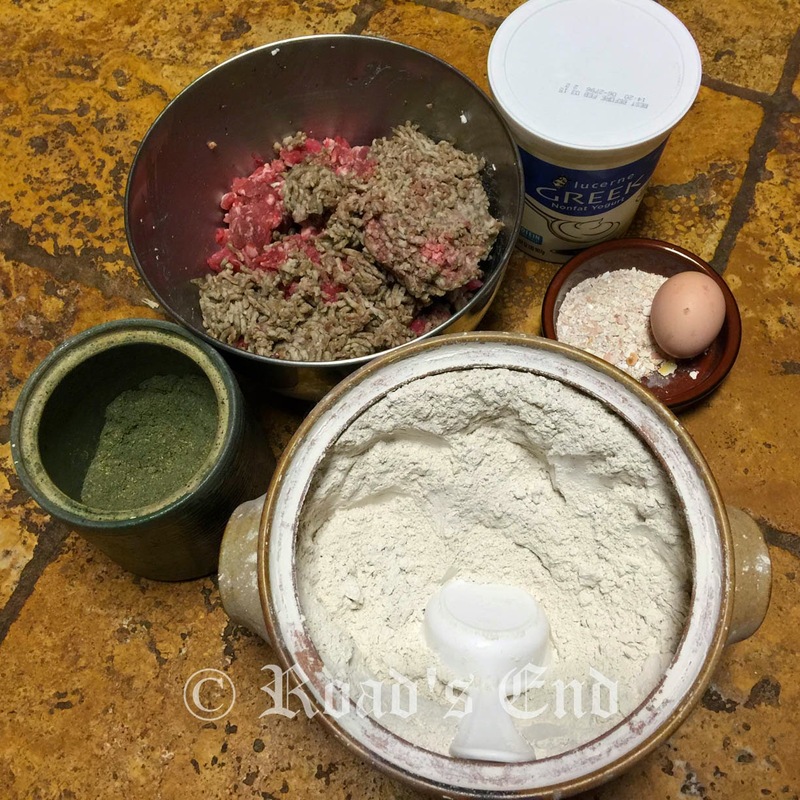 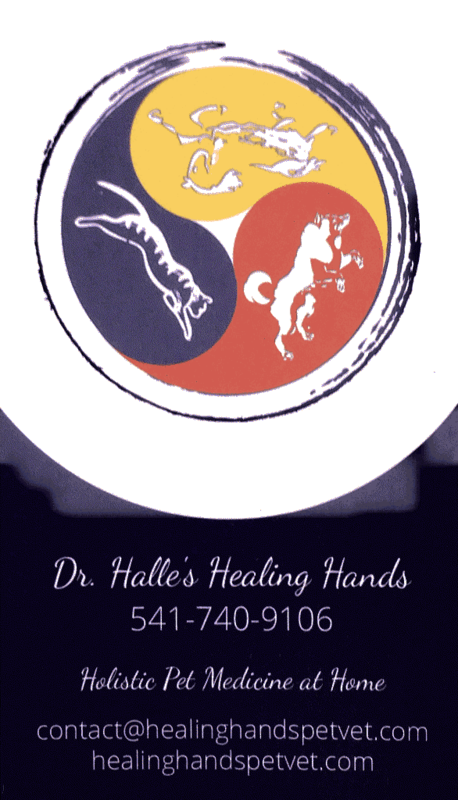 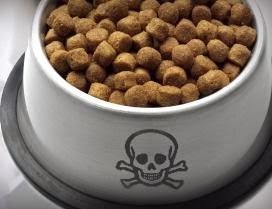 Feeding raw bones shouldn’t be dangerous if you follow these golden rules! 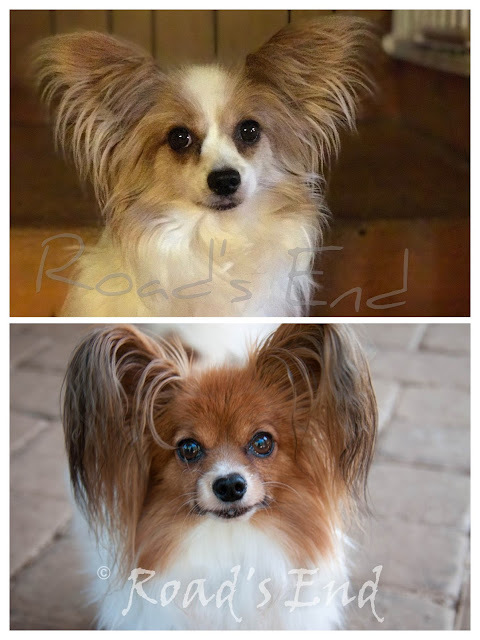 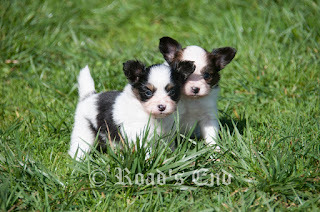 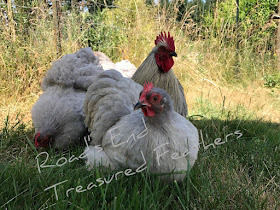 These two sweet little girls are retired and available to a loving home as a pet/companion dog.